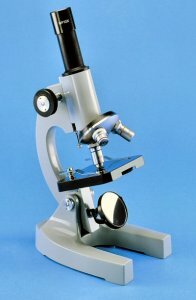 Student Microscope. 40x, 100x, 400x magnification. Adjustable Halogen illumination (not shown in picture but similar to MS600 Light Source for Optical Microcope). Powered by 220V/Batteries.